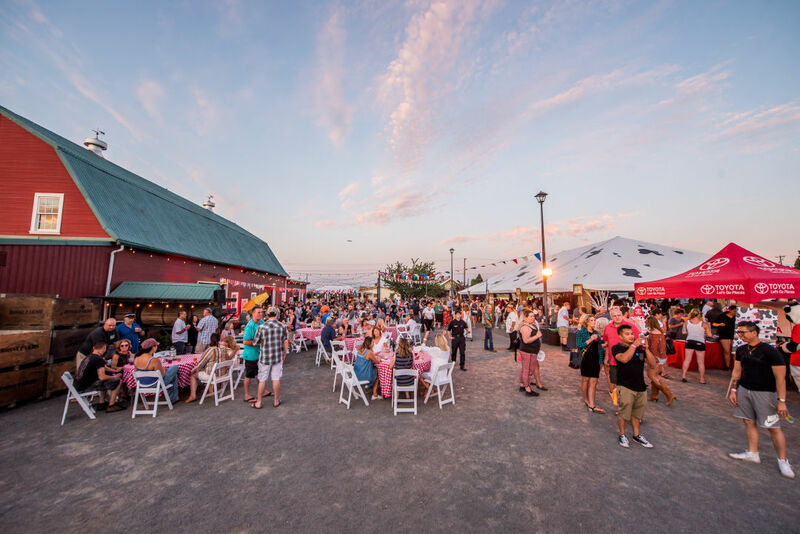 Our inaugural farm-to-table food fest took over Rossi Farms for a three-day love note to local chefs, farmers, ranchers, and artisans. A sunset scene from Portland Monthly's Cowabunga: Barn Bash event at Rossi Farms. Portland Monthly’s first annual Cowabunga: Farm-to-Table Food Fest has officially come to a close, leaving behind full bellies, happy hearts, and an actual barn’s worth of delicious food photos. Friday kicked off with Seared, a quasi-intimate VIP steak soiree with indie butcher Zeph Sheppard of Proletariat Butchery and crew manning the rib eye– and beef sausage-topped grill while Secret Language flaunted gorgeous, unorthodox salads, and Tournant held court at the oyster bar. Boy and Bean set the soundtrack, while guests sipped Glenfiddich cocktails (served up by Merit Badge ace bartender Anthony Ritchey) and sampled wines from Bergström Wines, Adelsheim, and more. 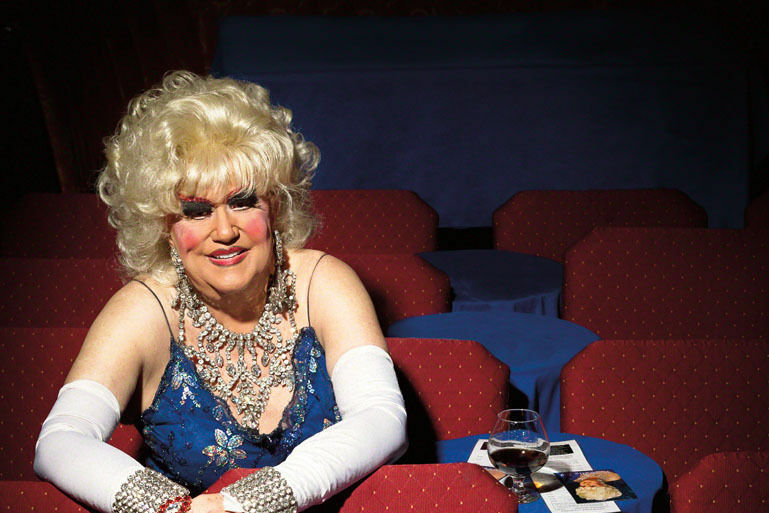 Plus, late-night DIY Moonstruck Chocolate s’mores and surprise drag performances from the crew at Darcelle XV—lead by PoMo’s own resident queen of all things sparkly Poison Waters. Learning insider kitchen tips at Portland Monthly's Cowabunga: Farm Out event at Rossi Farms. 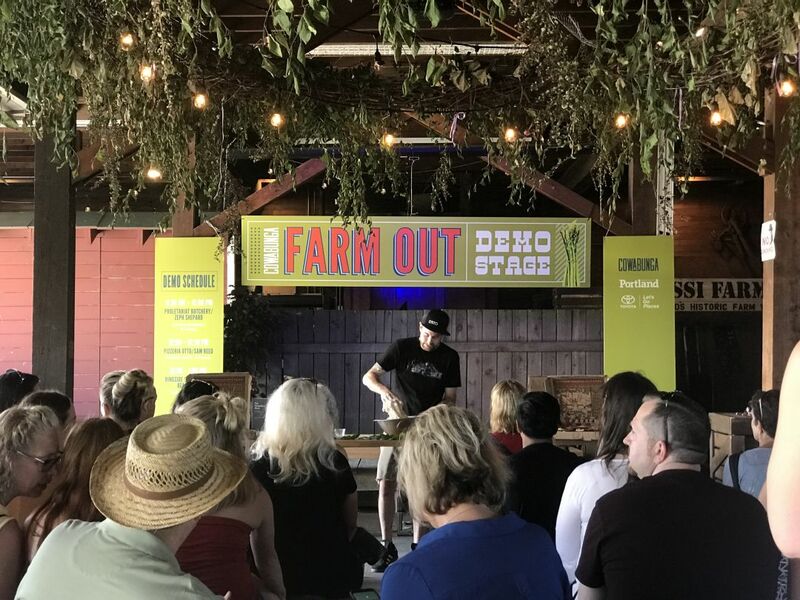 The next day, attendees settled in for a leisurely day on the farm with a bevy of demos from local hero/chef Nate Tilden of Bar Casa Vale; arch-classic steakhouse Ringside; ranch-to-table pioneers Carman Ranch; produce market visionaries Rubinette, and more. We were curious, we will admit, as to how these hands-on learning opportunities aimed at passionate (and/or merely inquisitive) home cooks would go over. Well. Every session featured avid crowds hanging on the finer points of, for example, the alkaline DNA of ramen noodles. (Thank you, Umi!) By the time the gentlemen from Orox Leather took the stage to talk about other dimensions of the cow to appreciative audience, we knew we were on to something for next year. 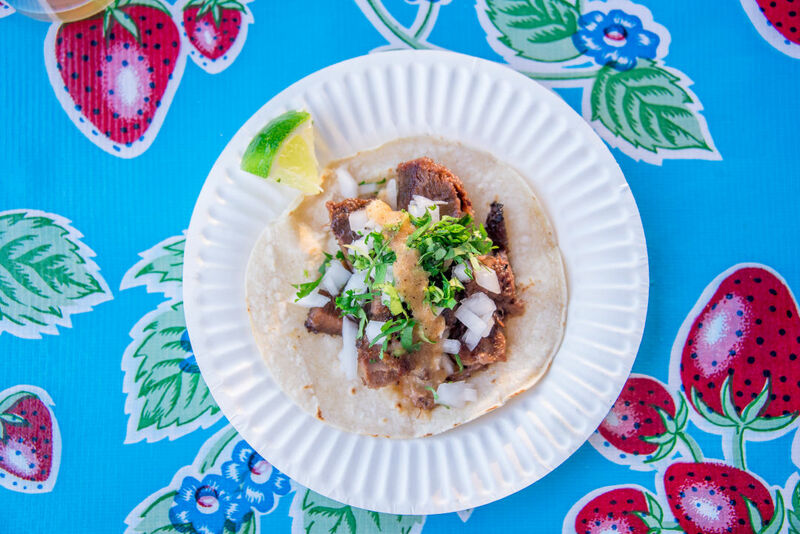 Taqueria Nueve's crowd-slaying lengua tacos at Cowabunga: Barn Bash—the tasty pineapple-topped bite took home both People's Choice and Judge's Awards. Come dinnertime, the whole farm transformed into the HQ for a giant neighborhood Barn Bash, a come-one, come-all barbecue to mark the height of summer. 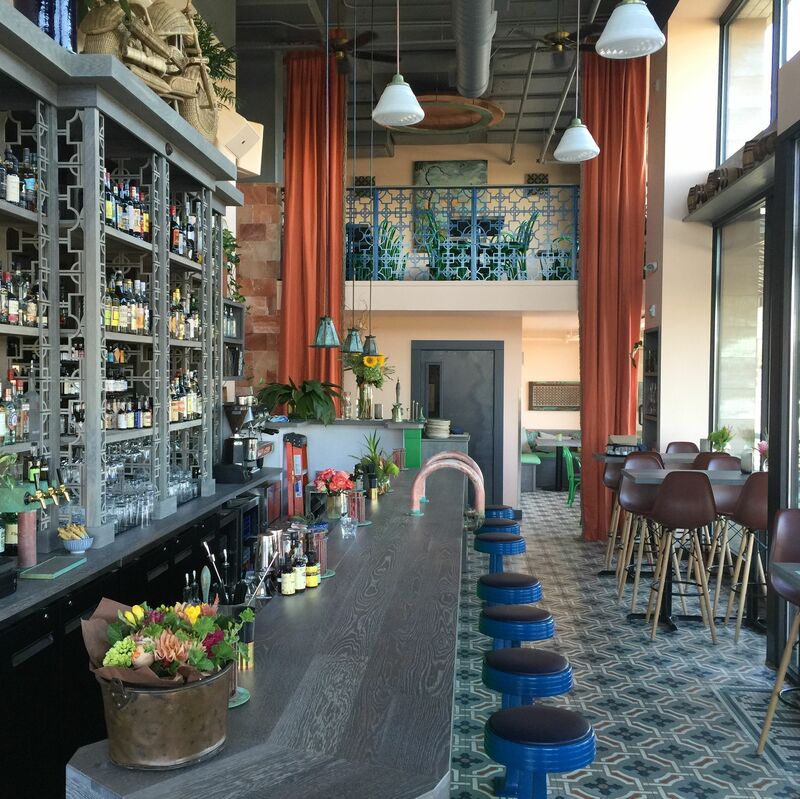 The country stylings of Zach Bryson and the Oregon Trailers soundtracked the coos elicited from Smokehouse Tavern’s pulled pork torta and Yakuza’s open-face burger. Judges roamed to pinpoint the night’s best bite and brew: top honors went to Taqueria Nueve, whose pineapple-spiked lengua tacos took both the judges’ tally and the People’s Choice vote, along with a Prickly Pear Sour brewed specifically for Cowabunga by Pono Brewing. A crisp wheat ale from Gateway Brewing also earned a best pairing award from the judges (for those lengua tacos, of course). 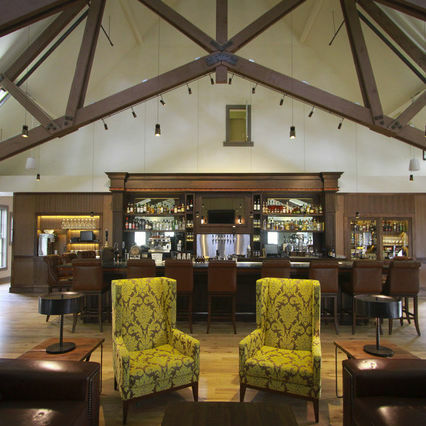 The very next morning, the farm shape-shifted one last time, as the setting for PoMo’s seventh annual bacchanal of all things morning: Country Brunch. Clouds of fragrant smoke poofed from Big Green Eggs and meat sizzled in Finex pans—ready for the home stretch. 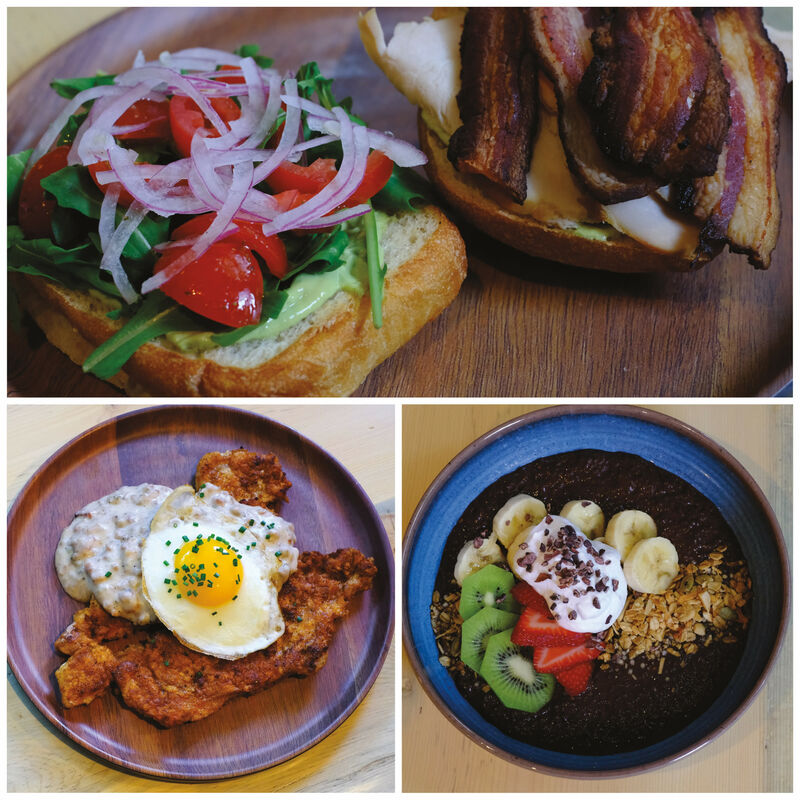 Diners milled about, wolfing gut busting beef brisket breakfast sandos from Il Solito and chocolatey chia pudding bowls from La Luna Cafe. 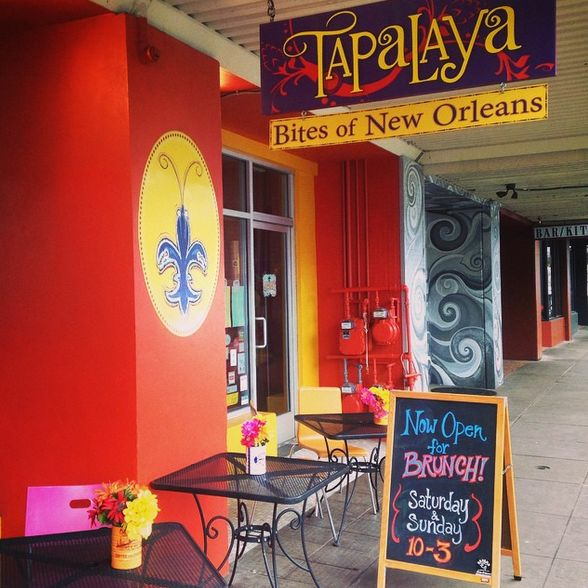 Tapalaya’s Anh Luu served up creamy-wonderful Thai basil shrimp and grits while Figlia’s drew crowds for wood-fired English muffins topped with country ham and chile aioli. And Fried Egg I’m in Love was there. Which makes every morning 100 percent better. 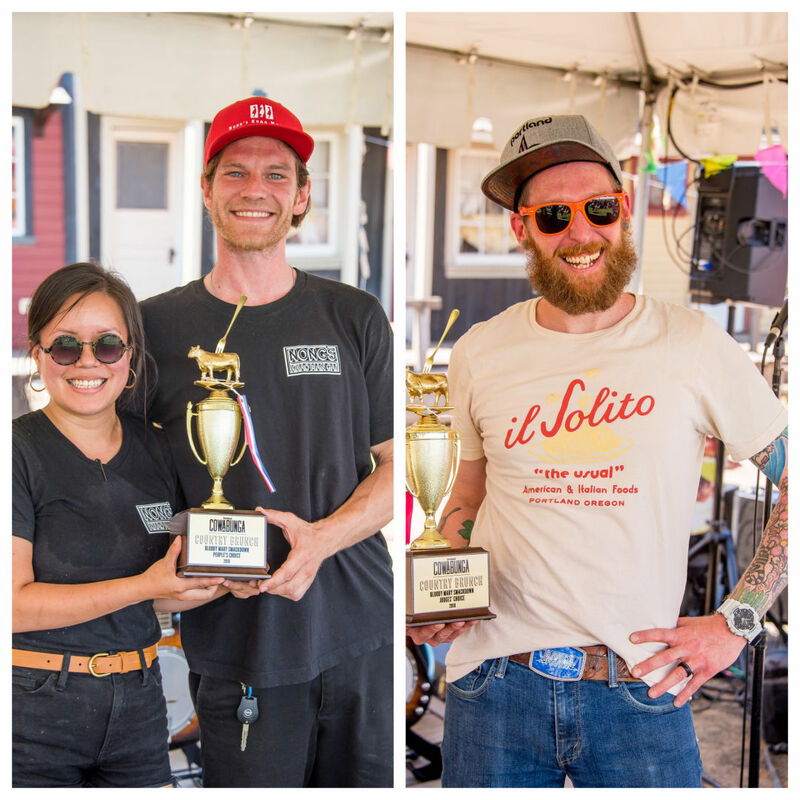 Country Brunch's Bloody Mary Smackdown winning crews pose with their golden cow trophies: Nong’s Khao Man Gai took home People’s Choice while Il Solito scored the Judge’s Award. 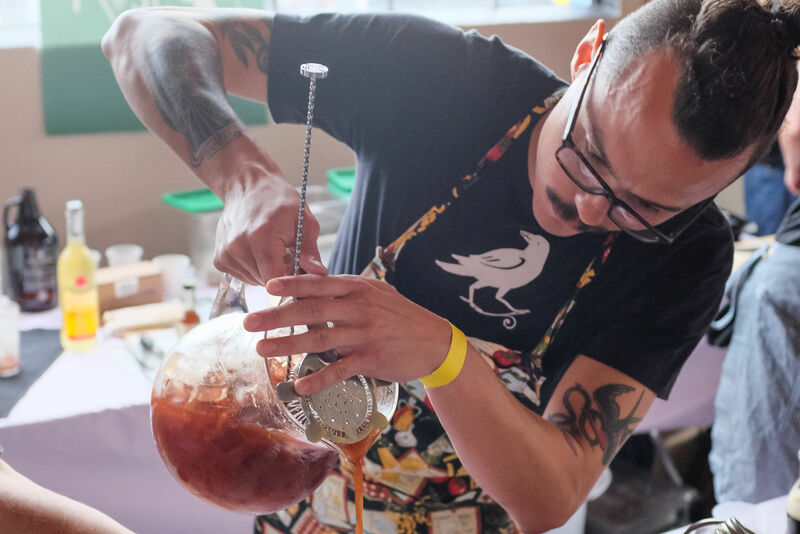 A strong cohort of inventive Bloody Marys vied for this year’s Bloody Mary Smackdown honors, from Solo Club’s hefty Korean banchan in a glass to newbie Hey Love’s inventive tomatillo quencher. In the end, Nong’s Khao Man Gai’s galangal-intensive, fried chicken skin garnished Bloody took home People’s Choice while Il Solito’s balanced, classic-tweaking quaff—emboldened by anchovies, rimmed with chile and powdered prosciutto, and topped with a chunk of rich sheep’s milk cheese—stole the Judge’s hearts. “I’ve never seen someone use cheese to such success,” marveled judge Dave Shenaut, the bar mastermind at Raven & Rose (and former Bloody Battle champ). 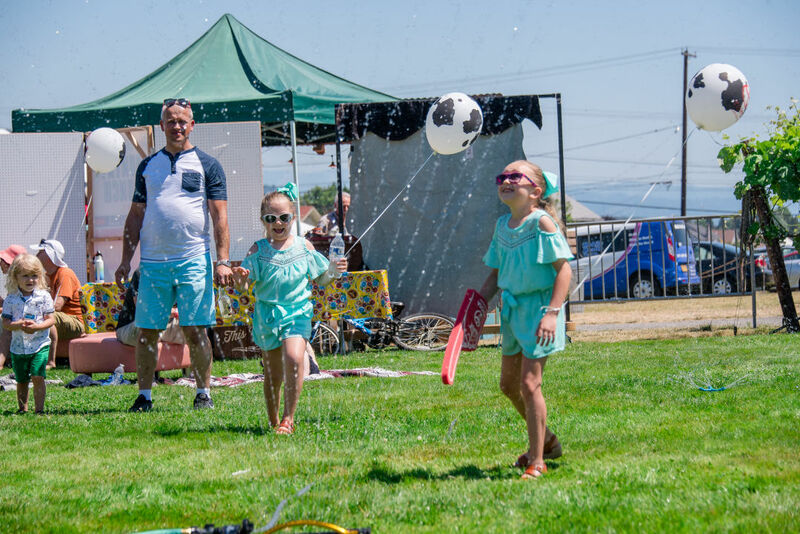 Sprinkler fiends at Portland Monthly's Cowabunga: Country Brunch at Rossi Farms. 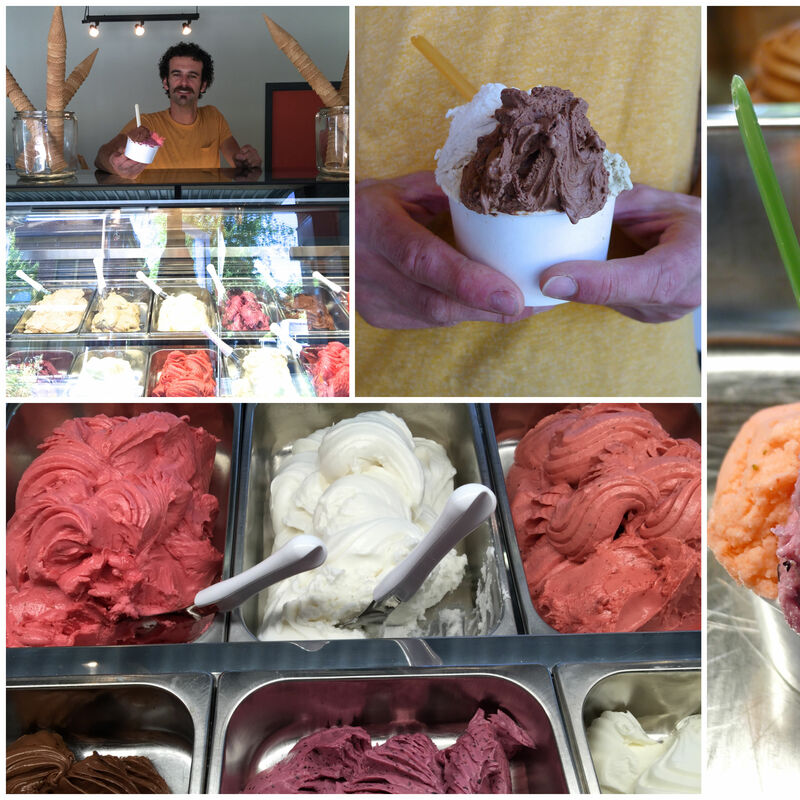 As the sun beat down and stomachs expanded, the lines still stretched far and long for gelato ringer Pinolo’s charming cart, where owner Sando Paolini patiently walked every single guest through a rainbow of achingly fresh flavors (Oregon strawberries to lemon-basil) served from what looked like a mod nod to an old Italian gelato wagon—elaborate silver domes included. 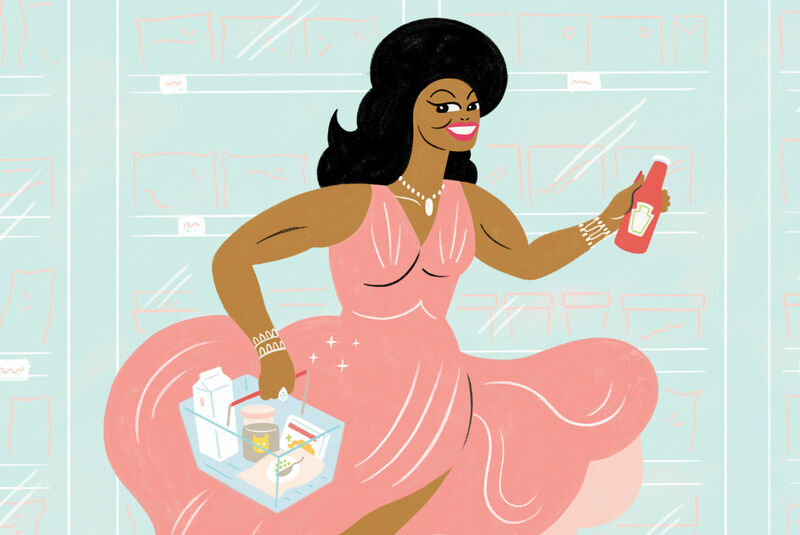 Revelers practically skipped out of the barn, icy treats in hand—and dashed right through tall sprays of water from the hoses laid across the farm’s hot tarmac. The perfect end to our new favorite summer culinary bender. 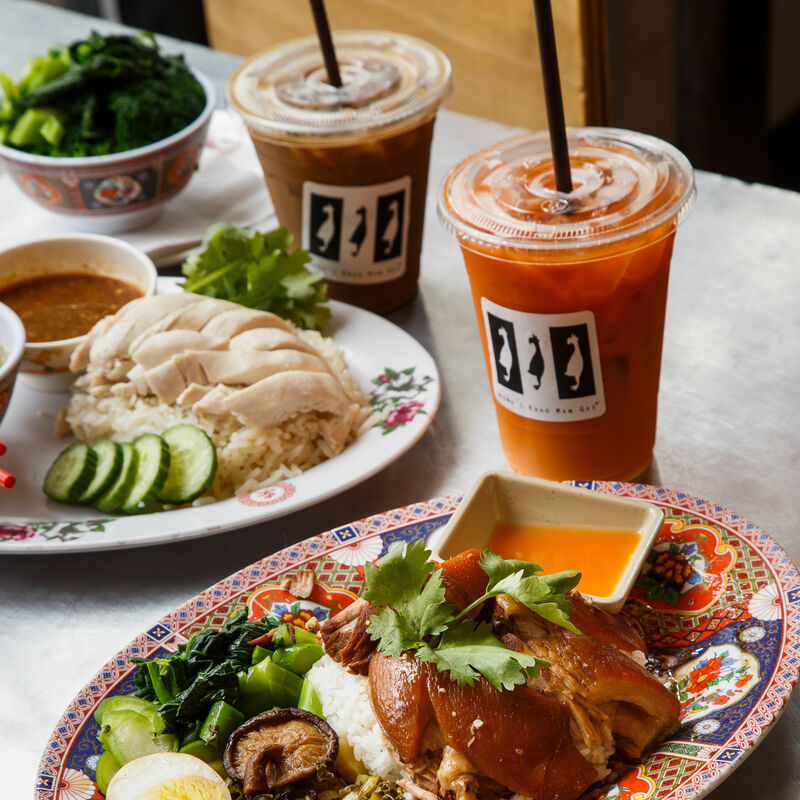 Nong’s Khao Man Gai's brick-and-mortar Thai restaurant offers the food cart queen's chicken and rice dish on SE Ankeny.